If your JUnit tests utilize DFSMiniCluster, you may hit an ExceptionInInitializerError when building your project on Bamboo OnDemand using elastic agents. 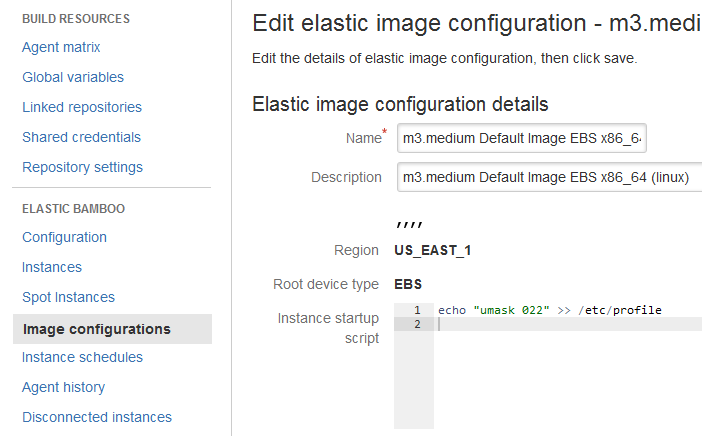 You could create your own custom elastic image or you can use “Instance Startup Script” functionality to inject this configuration on your (standard) instance types. to the Instance Startup Script section and you are done. Terminate and restart running instance and rebuild your project.